As we move here in the US toward the Fourth of July holiday, I hope you are all keeping up with your Summer Reading List. I was one of those kids who loved that list of required reading over the summer–and we get to write reports about the books too? Yay! The Washington Post has a great list of favorite books of their foreign correspondents for 2013. I share it here because it may be of interest in particular to international adoptees and to parents of internationally adopted children, but really it’s a fascinating list for anyone. The recommendations include books about Syria, India, North Korea, Jerusalem, China, Russia, and more. This is me speaking now, not a foreign correspondent lol: Behind the Beautiful Forevers is a beautifully written book about India–its incredible poverty, and its astonishing potential. A challenging, well-worth-it kind of book. To me, that sums up the poignancy of the adoption journey. I hope your summer time is one of rejuvenation and adventure, and one that includes lots of good books. Library cards are free. Enjoy. 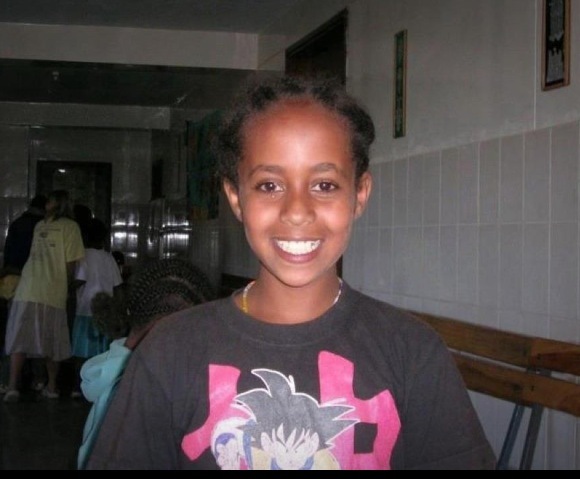 This is a prayer for Hana Alemu, born in 1997 in Ethiopia, brought to Washington state in the US for adoption in 2008, died naked at night alone in the cold, locked outside her adoptive family home, on May 12, 2011: two years ago today, Mother’s Day. She weighed less at her death than she had at arrival 3 years earlier from Ethiopia. Hana, may we learn from the loss of your life, that no child should ever suffer as you did. May we remember and pray for your Ethiopian mother, keeping her in our hearts always. 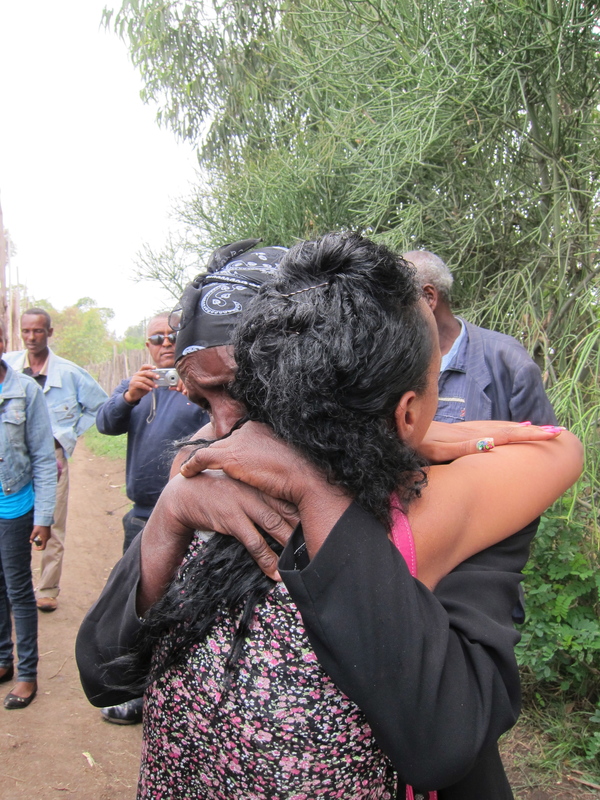 May your Ethiopian family, those who knew you and those who grieve for you (whether angry, heartbroken, confused, prayerful) find healing and comfort. May we adoptive parents deeply understand the responsibility we have, to care for and treasure our children. May all parents who need help in caring for their children reach out and receive that help. May adoption agency workers, child protective services staff, lawyers, police officers, and government officials receive encouragement and insistence that they do their difficult work conscientiously, aware that lives hang in the balance. May we never forget Hana. I visited Hana’s grave this past Thursday (May 9), in anticipation of both Mother’s Day and the second anniversary of her death, May 12. As an adoptive mother of four children, including two daughters from Ethiopia, I have been both outraged and aching over Hana. I wrote previously about Hana here. Her adoptive parents Larry and Carri Williams have yet to go to trial. Hana’s body was exhumed and reburied in January, because there was a question about her actual age. If she is proven to be older (say, 16, at time of death), the charges against her adoptive parents could be reduced. Their next court date is in July. A Facebook group honors and remembers Hana. 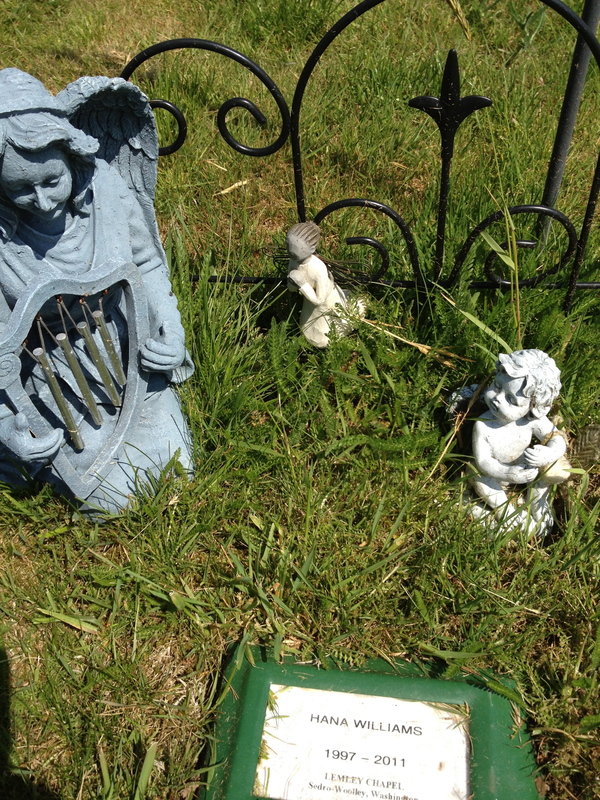 There is much interest in getting Hana a decent grave marker, and we hope that can happen after the trial concludes and justice is done. If you’ve never had Ethiopian food, the first time can be challenging. The food can seem unfamiliar and strange. It can be spicy, raw, bland, mushy, crunchy. You tear off the injera (spongy bread) and eat with your hands. You share one big plate with your companions. You will probably ask questions about what is what, and watch how others eat. You might need some translation (see the photo above); it would be great if you learned some Amharic words. You dive in, hoping to be polite and to enjoy the experience. 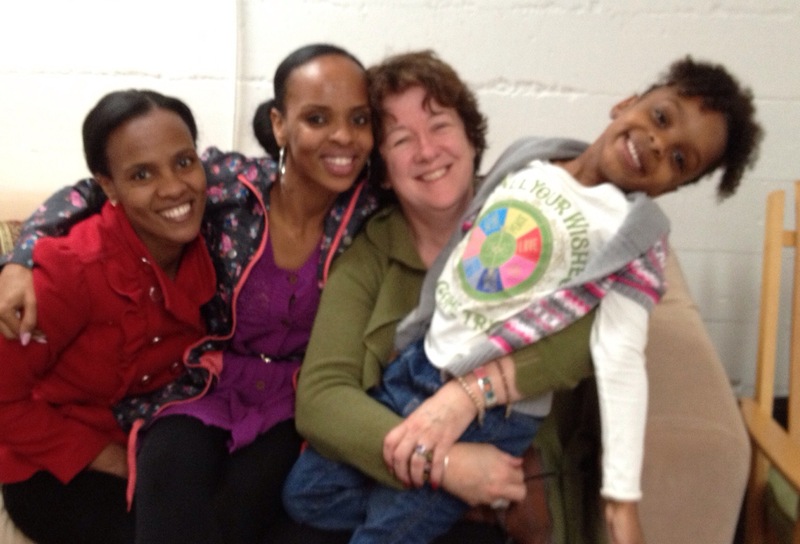 I recently posted about several significant challenges in Ethiopian adoption issues. The main points were the rise and fall of number of children being adopted to the US, the approximately $330 million that has been paid for those adoptions since 1999, the impact of Facebook groups, the instantaneous sharing of bad news about Ethiopian adoptions gone wrong, a new film and new book related to Ethiopian adoptions, and the increasing awareness of cultural understandings of adoption. I heard back from a lot of people (thank you!). I’m diving today into something that’s crunchy and fearsome: how to begin to address the huge challenges in Ethiopian adoptions. One reader asked : What can we do to get the adoption service providers (ASPs, which can include home study agencies and placement agencies) and adoption lobbyists to listen to all the damage that’s been done, and get them to change? Good question. Ok, put the berbere spices on the table. Chop the vegetables. Turn up the heat. Keep talking and telling stories. Do not underestimate the power of effective stories in bringing about change. “Stories” means candid, honest narratives. They are very powerful. Who should do the talking? Adoptive parents, yes. Speaking only from my experience, perspectives change as children grow up and one has decades of parenting under one’s belt. I am not dismissing the valid and valuable experiences of parents of young children–keep speaking out. I wish, though, that more “seasoned” adoptive parents would share their stories as well. 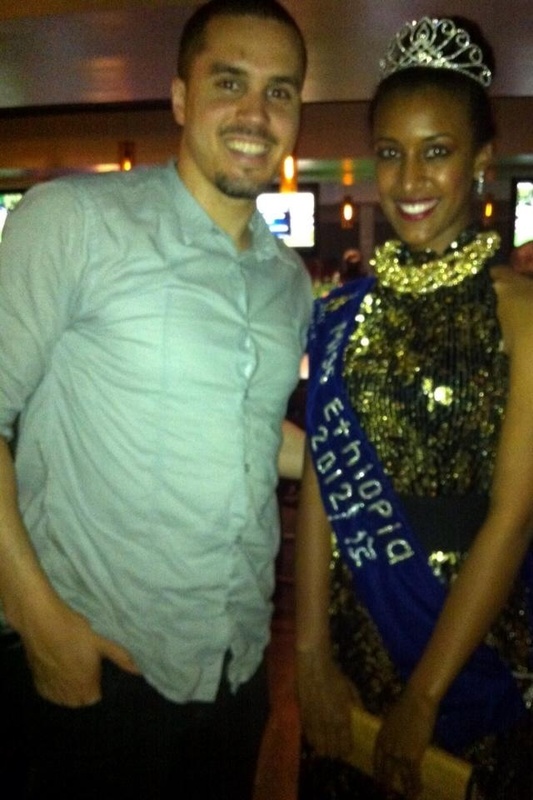 That said, I encourage Ethiopian adoptees to speak up and share their stories, positive and negative. The adoptee community award for Most Vocal currently would probably go to Korean adopted adults: they are the oldest, largest group of international adoptees, and are leading the way in terms of activism, networking, socializing, lobbying. Look at their models and learn: no need to reinvent that particular wheel. Unlike most other international adoptions, Ethiopian adoptions are increasingly “open,” inadvertently or purposely. Adoption agencies have had birth families and adoptive families meet at the time of placement. Adoptive parents have done their own searches, found birth families, and connected with them, via occasional letters or routine visits to Ethiopia. Adoptees themselves have searched and reunited with Ethiopian family members by traveling to Ethiopia or using Facebook and Google. Older child adoptions have often meant that the children themselves, while in the US, talk with birth family regularly in Amharic or Tigrinya or Oromiffa. 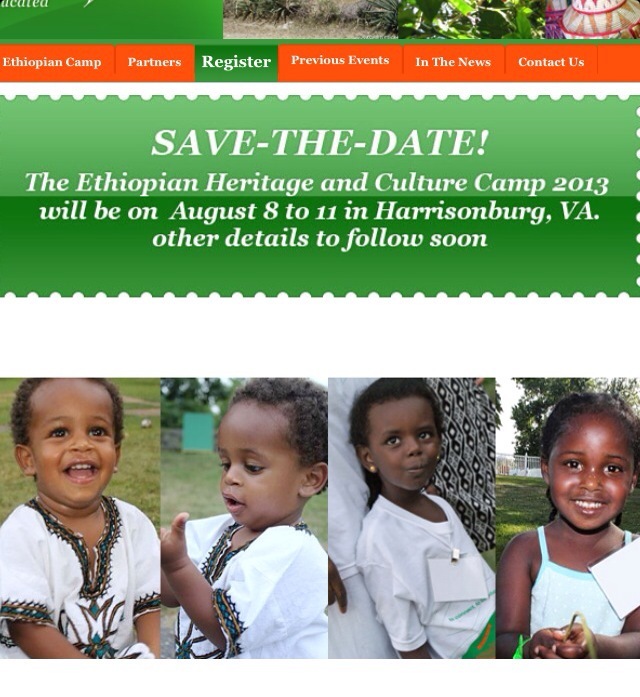 As a result of these increased and open connections, both adoptive parents and Ethiopian adoptees can be the key ingredients to providing Ethiopian birth/first parents with a seat at the table, to tell their stories and to be seen. In all adoptions, birth/first families are usually the most marginalized. They are usually the weakest economically. Poor people have the least power in any society. We adoptive parents have a tremendous responsibility to care for children who were placed with us, to know the truth behind the reasons for placement as best possible, and to share that truth with our children. I recognize the need for privacy and confidentiality. I understand there is tremendous complexity for adoptees in traveling the journey of loss and grief that is adoption. But we are in this together, and sharing the loss eases the burden. Acknowledging the birth family, connecting with the birth family, speaking out about the realities that cause children to be placed for adoption: it’s time. And that to me is one of the keys to bringing about positive change in Ethiopian adoptions, to getting ASPs to listen (and the State Department, the lawyers, Congress, and so on): that everyone’s stories are heard. Those of us who are connected by Ethiopian adoptions have a great opportunity right now, to share a meal, to talk together, and to bring all our truths to the table. It is crowded and noisy. Good listening and excellent translators will be important. But like any raucous family meal, it can offer connection, information, communication, and the possibility for nourishment and change. Tomorrow: Some thoughts on the responsibility adoption agencies have to the birth/first families, and how they might bring about change.